A Westport scientist awarded the Nobel prize in medicine early Monday died three days before the prestigious honor was announced, according to the website for his university. Ralph Steinman, 68, who had lived on North Avenue, died last Friday, according to a statement from Rockefeller University. Steinman shared the prize announced Monday by the Nobel Prize Committee in Stockholm with American Bruce Beutler and French scientist Jules Hoffmann. He died Friday from pancreatic cancer, according to Rockefeller University, which added that he had been treated with immunotherapy based on his discovery of dendritic cells two decades earlier. The cells help regulate "adaptive immunity," an immune system response that purges invading microorganisms from the body, the university said. The Nobel Committee was not aware of Steinman's death before the Monday announcement, which triggered uncertainty about whether the award could be presented posthumously since Nobel rules prohibit the honor being given to someone who has died. 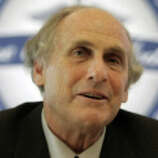 Later Monday, however, the Nobel group said the award to Steinman would stand. "The events that have occurred are unique and, to the best of our knowledge, are unprecedented in the history of the Nobel Prize," the committee said in a statement. "According to the statutes of the Nobel Foundation, work produced by a person since deceased shall not be given an award. However, the statutes specify that if a person has been awarded a prize and has died before receiving it, the prize may be presented. "An interpretation of the purpose of this rule leads to the conclusion that Ralph Steinman shall be awarded the 2011 Nobel Prize in physiology or medicine," the group said. The award was to be presented to Steinman "in good faith, based on the assumption that the Nobel laureate was alive. This was true -- though not at the time of the decision -- only a day or so previously." The awards are set to be presented Dec. 10 at a ceremony in Stockholm, Sweden. Rockefeller University President Marc Tessier-Lavigne said officials at the New York school are "delighted that the Nobel Foundation [had] recognized Ralph Steinman for his seminal discoveries concerning the body's immune responses. "But the news is bittersweet, as we also learned this morning from Ralph's family that he passed a few days ago after a long battle with cancer." As a cell biologist, Steinman's work focused on the human immune system. Working with the late Zanvil A. Cohn at Rockefeller, Steinman's early research sought to understand the primary white cells of the immune system, macrophages and lymphocytes, which work to spot and destroy infectious micoorganisms and tumor cells. During their research, Steinman and Cohn discovered a previously unknown class of immune cells, which they called dendritic cells. 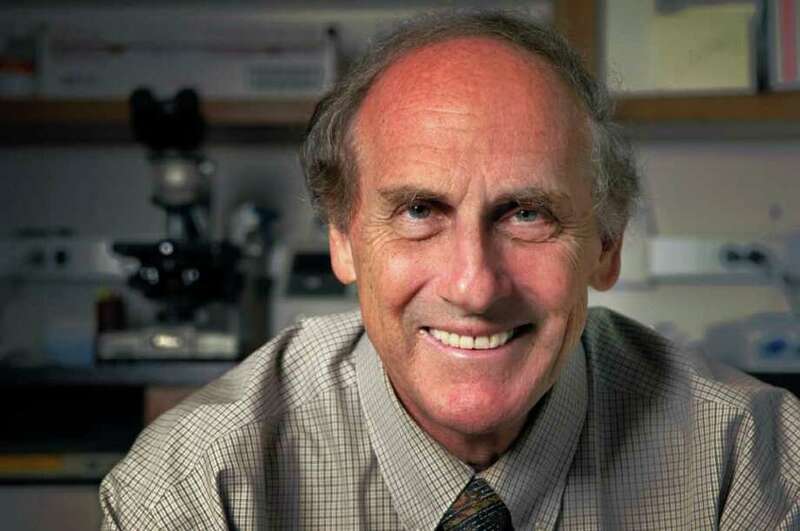 Steinman's research subsequently showed that dendritic cells played an important role in the onset of several immune responses related to graft rejection, the resistance of tumors, autoimmune diseases and infections including AIDS. Steinman was born in Montreal, Canada on Jan. 14, 1943. He graduated with a B.S. degree from McGill University in 1963 and received a medical degree from Harvard Medical School in 1968. Steinman joined Rockefeller University in 1970 as a postdoctoral fellow in the Laboratory of Cellular Physiology and Immunology. He was appointed an assistant professor in 1972, an associate professor in 1976 and professor in 1978. He was named Henry G. Kunkel Professor in 1995 and director of the Christopher H. Browne Center for Immunology and Immune Diseases in 1998. He also served as a senior physician at the Rockefeller University Hospital. According to a January 2008 newsletter by the American Society for Cell Biology, Steinman was at his Westport home in August 2007 when Joe Goldstein, a Nobel laureate and head of the Lasker Foundation, told him by phone he had won the 2007 Albert Lasker Award for Basic Medical Research. He received the accolade for his discovery of dendritic cells, according to the newsletter.